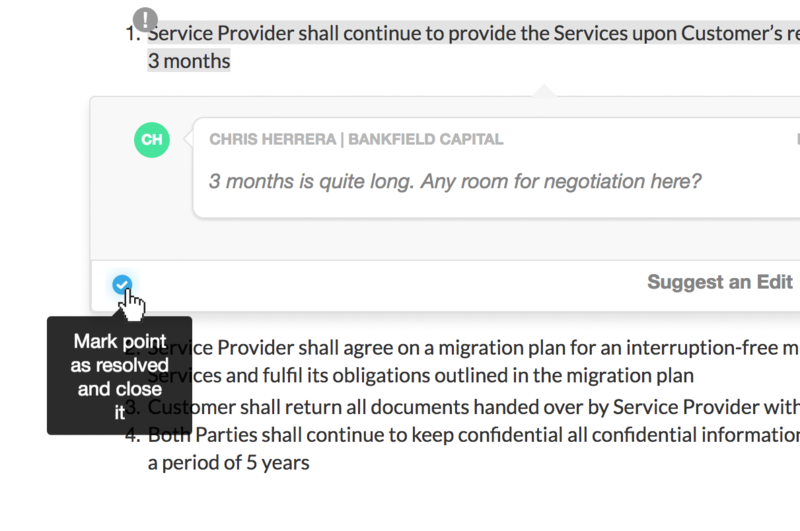 Keeping track of what's being discussed is one of the most important parts of synergist's negotiation workflow. Here we're going to show you the different ways you can open and close points in synergist. In synergist there are two ways to open a new point. 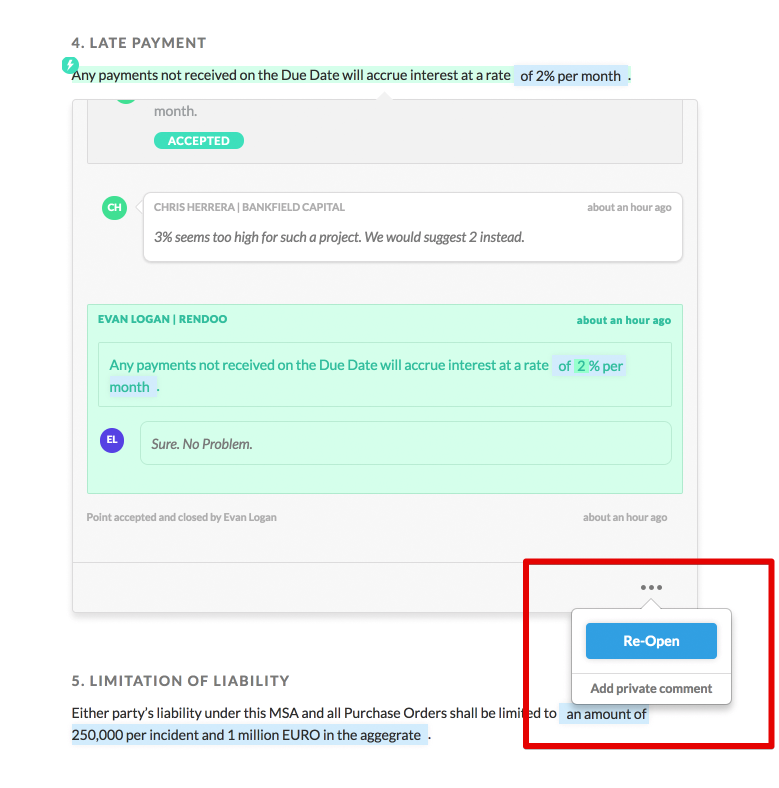 Either you or your counterparty simply needs to click on the particular area of the document, decide whether to leave a public comment or suggested edit (or both), add this to your queue and send. Now this point is considered 'open' and will be visible in your sidebar. It will remain an open point until one of two things happen. 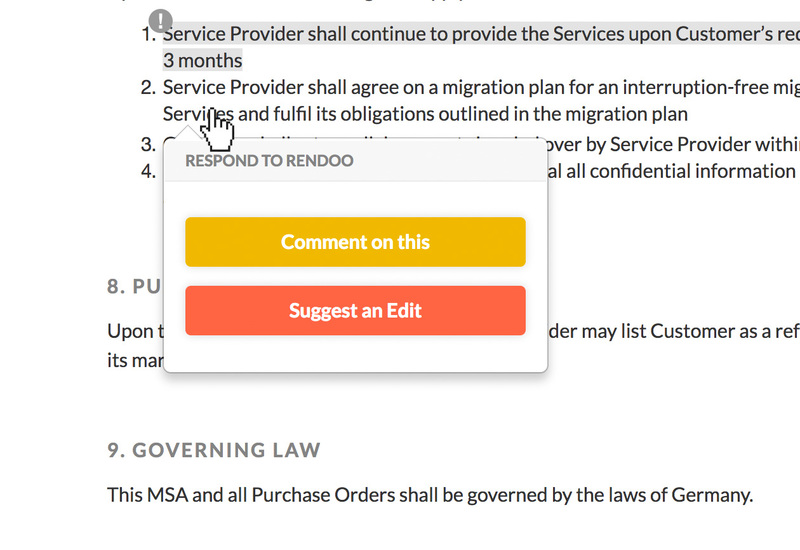 Either when suggested edit is accepted or when one side marks the point as resolved. The most basic method is when one party accepts a suggested edit from the other side. Doing so will update the document and also close the point. The second method is by marking the point as resolved. This is useful when a point is resolved through comments or even outside the scope of synergist. If you don't see the mark as resolved button don't panic. This action is only available to the party who initially opened the point. As things change during a negotiation, previously discussed points can come back on the table. To reopen a point, click on the three dots in the lower right hand corner, select Re-Open and leave either a comment or a suggested edit. Once sent the point will be considered open again. Private comments in synergist are exactly what their title suggests - private. Therefore, making private comments will neither open nor re-open points. Allowing you and your team to discuss internally how to proceed.